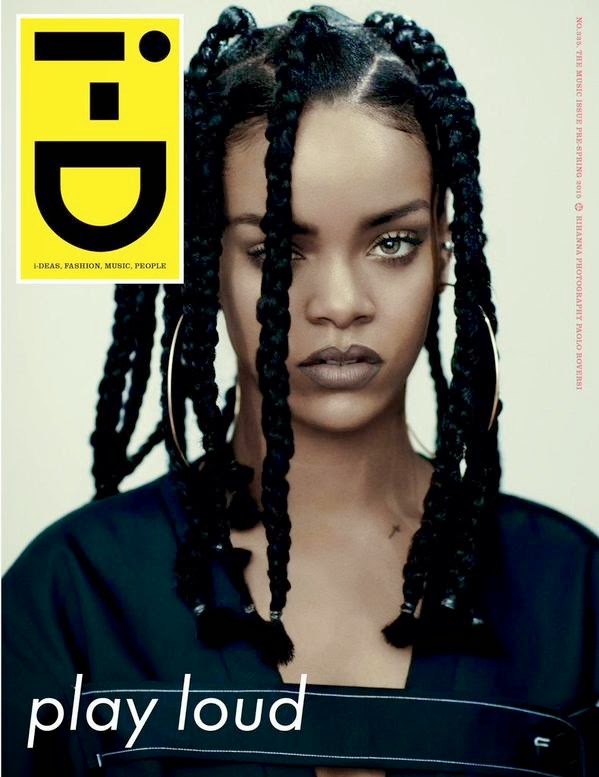 Here is the extremely photogenic Rihanna serving early 90s Janet Jackson on the cover of this months ‘i-D’ magazine. 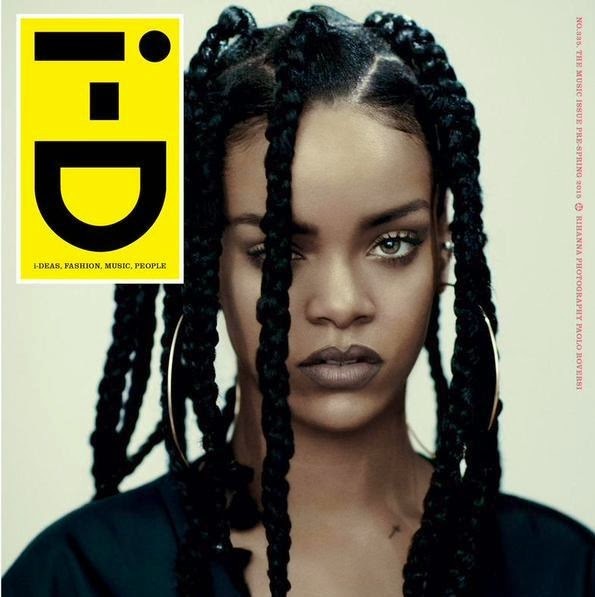 "She really is one of the most creative, talented and inspiring women I've ever had the pleasure of working with," says i-D's Fashion Director Alastair McKimm, who teamed up with Rihanna and Paolo Roversi for i-D's cover shoot in Paris. "The energy and enthusiasm she brings is intense. She's the ultimate icon of our time." A very understated, but beautiful cover for the magazine's 'Music Issue.' Gwaaaan Robyn!